U.S. Department of Health and Human Services (HHS) Secretary Alex Azar and Centers for Medicare & Medicaid Services (CMS) Administrator Seema Verma announce the CMS Primary Cares Initiative, a new set of payment models that will transform primary care to deliver better value for patients throughout the healthcare system. 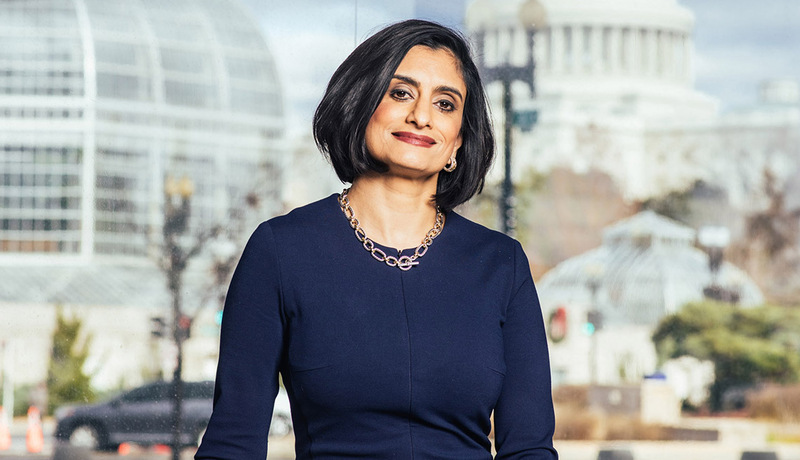 The CMS Primary Cares Initiative will aim to reduce administrative burdens and empower primary care providers to spend more time caring for patients while reducing overall healthcare costs, HHS said in a statement. Empirical evidence shows that strengthening primary care is associated with higher quality, better outcomes, and lower costs within and across major population subgroups. Despite this evidence, primary care spending accounts for a small portion of total cost of care, and is even lower for patients with complex, chronic conditions, HHS said. CMS’s experience with innovative models, programs and demonstrations to date have shown that when incentives for primary care clinicians are aligned to reward the provision of high-value care, the quality and cost effectiveness of patient care improves, the organization cited. Primary Care First and Direct Contracting. The Primary Care First (PCF) payment model options will test whether financial risk and performance based payments that reward primary care practitioners and other clinicians for easily understood, actionable outcomes will reduce total Medicare expenditures, preserve or enhance quality of care, and improve patient health outcomes. PCF will provide payment to practices through a simplified total monthly payment that allows clinicians to focus on caring for patients rather than their revenue cycle. PCF also includes a payment model option that provides higher payments to practices that specialize in care for high need patients, including those with complex, chronic needs and seriously ill populations (SIP). Both models under PCF incentivize providers to reduce hospital utilization and total cost of care by potentially significantly rewarding them through performance-based payment adjustments based on their performance. These models seek to improve quality of care, specifically patients’ experiences of care and key outcome-based clinical quality measures, which may include controlling high blood pressure, managing diabetes mellitus and screening for colorectal cancer. PCF will be tested for five years and is scheduled to begin in January 2020. A second application round is also planned for participants starting in January 2021. By Chris Jaeger, head of ACO and health system strategy, AristaMD. Rural hospitals are facing severe challenges in maintaining operating margin, with uncompensated care being a major factor. Telehealth eConsult platform use in local primary care settings to improve “right time, right place, right provider care” have been shown to decrease the number of patients receiving avoidable and unnecessary care within the hospital setting, thus supporting hospital’s ability to mitigate uncompensated care. Uncompensated care is an overall measure of hospital care provided for which payment was not received from the patient or payer group. It equates to the sum of a hospital’s bad debt — the financial assistance it provides. Financial assistance includes care for which hospitals never expected to be reimbursed and care provided at a reduced cost for those in need. A hospital incurs bad debt when it cannot obtain re-imbursement for care provided; this happens when patients are unable to pay their bills, but do not apply for financial assistance, or are unwilling to pay their bills. Hospitals, both nonprofit and for-profit, provide uncompensated care for individuals who are uninsured and under insured. 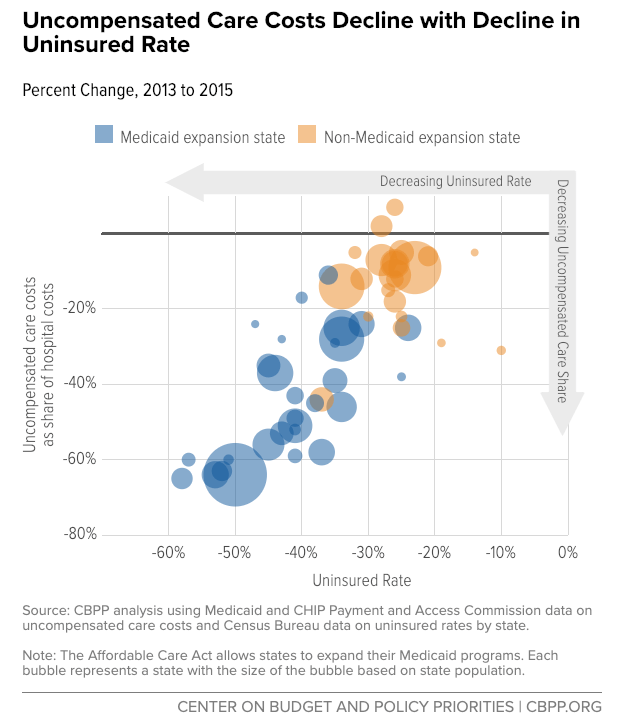 Though there has been a noted decline in uncompensated care since the 2014 passage of the Affordable Care Act and Medicaid expansion, this has not carried over to states not part of the expansion. 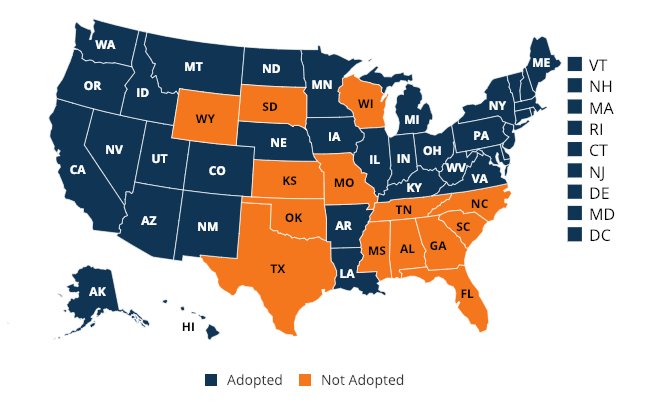 States that expanded Medicaid to low-income adults under the ACA recognized a 47 percent decrease in uncompensated care costs, on average, compared to an 11 percent decrease in states that did not expand Medicaid. Uncompensated care and dropping revenue margins are causing hospitals, especially in rural areas, to close. “While Medicaid expansion has improved all hospitals’ operating margins and total margins, the effect was particularly pronounced in rural areas,” noted a report from the Center on Budget and Policy Priorities. A recent study by the North Carolina Rural Health Research Program (NC-RHRP) at the University of North Carolina Cecil G. Sheps Center for Health Services Research (UNC-CH) showed that since 2010, 89 rural hospitals in 26 states have closed. Much of this uncompensated care could be prevented through primary care intervention. A report, released by Premier, found that six common chronic conditions accounted for 60 percent of 24 million Emergency Department (ED) visits in 2017; out of that 60 percent, approximately one third of the visits (4.3 million) were likely preventable and could be treated in a less expensive outpatient setting. One of the biggest trends in healthcare has a distinctly technical focus: clinical mobility, the use of mobile devices like smartphones, tablets, laptops, and mobile printers by physicians and nurses at the point of care. According to the U.S Department of Health and Human Services, the average physician currently spends 15 hours per week on reporting measures, cumulatively costing a staggering $15.4 billion annually. Added mobility measures will be a huge relief to these healthcare heroes, who can then spend more time with patients. The requirements for devices utilized by medical professionals are exacting and stringent because our health depends on them. Likewise, many devices must comply with the sweeping Health Insurance Portability and Accountability Act (HIPAA) regulations, along with numerous other government certifications. While there is a plethora of mobile healthcare devices on the market, a select few are worth calling out for the progress in their performance and usage. Here are three essential tools for modern practices. No hospital or clinic can survive without positive patient identification (PPID) wristbands, which track patients from admission to discharge using printed labels and help improve throughput and security. Staff members scan bar codes on the bracelets to access medical history, medication lists, or allergies and then send data directly to labs or pharmacies through hospital databases. Workers can also use PPID to generate labels for everything from charts and bills to specimen containers, so important medical documents and paraphernalia stay secure. Assisted living facilities and nursing homes that give patients more freedom benefit from PPID as well, because the technology is excellent at helping maintain the safety of residents. In many cases, family members can also access this information, and so have peace of mind. Chatbots have revolutionized many areas of modern life, and medicine is no exception. The artificially intelligent apps handle basic but time-consuming tasks, ensuring patients take prescriptions and comply with orders. These tools will save the healthcare industry billions of dollars, so many tech companies want to get in on the action, such as by using text and voice apps to answer patient questions with natural language processing, helping medical professionals stay mobile and focused on their work. 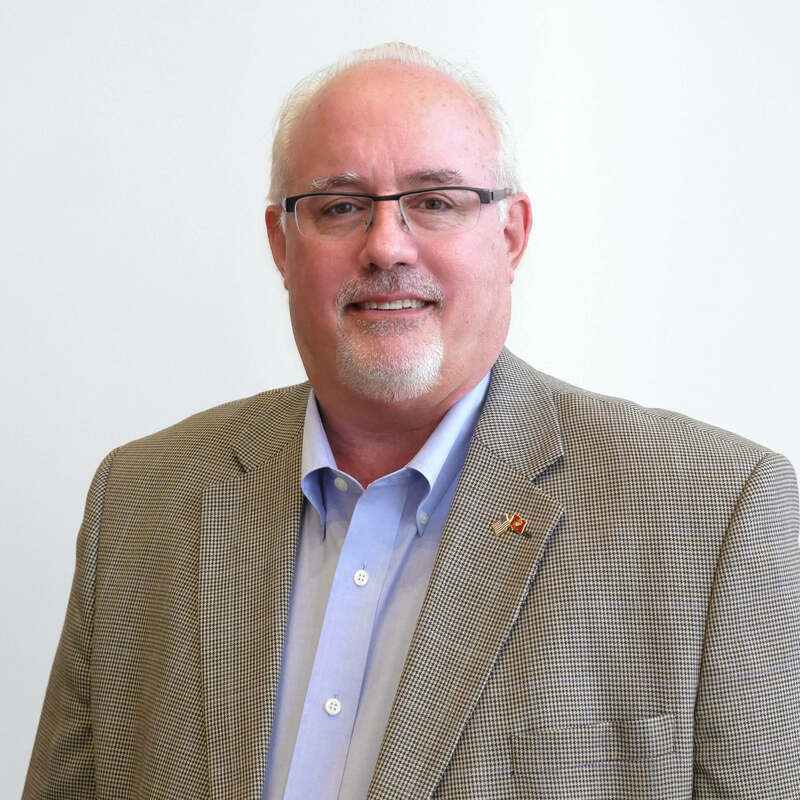 By David A. Watson, chief executive officer of Akiri, and former CTO, Kaiser Permanente. The American Medical Association (AMA) identifies one of the biggest challenges in healthcare today as the secure sharing and use of trusted health data in real time across the complex U.S. healthcare ecosystem. To hijack a Winston Churchill quote — data liquidity is a riddle wrapped in a mystery inside an enigma. The key to solving this puzzle is not more technology; we’ve had good integration technology for 30 years. What we need is a fundamentally different approach that addresses the adoption issues that have so far prevented success. Trust – there is insufficient trust among the healthcare data trading partners (e.g., healthcare organizations fear that shared data could result in some sort of business disadvantage). Economic Incentive – there is no direct economic incentive for those who possess the data (and bear the cost of creating/communicating it) to share it with those who need it (and who benefit from it). Control – organizations that share their data want to have a sense of control regarding what is being shared with whom. Achieving data liquidity in the sprawling systems that make up the U.S. healthcare economy requires a combination of rethinking the applied technology to make it easier and less expensive, while closing the adoption gap by giving the participants in data exchange solid business reasons to do so. Without addressing the economic issues and retaining a strong privacy compliance footprint, no amount of technology will overcome the market entropy noted above. 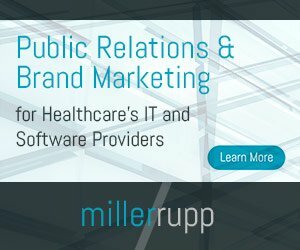 Today, the U.S. Department of Health and Human Services (HHS) announced it is extending the public comment period by 30 days for two proposed regulations aimed at promoting the interoperability of health information technology (health IT) and enabling patients to electronically access their health information. The new deadline for the submission of comments – June 3, 2019 – will allow additional time for the public to review the proposed regulations. The extension of the public comment period coincides with a release by the HHS Office of the National Coordinator for Health Information Technology (ONC) of the second draft of the Trusted Exchange Framework and Common Agreement, along with a related Notice of Funding Opportunity. HHS also today released of a set of frequently asked questions (FAQs) from the Office for Civil Rights (OCR). The FAQs address the Health Insurance Portability and Accountability Act (HIPAA) right of access as it relates to apps designated by individual patients and application programming interfaces (APIs) used by a healthcare provider’s electronic health record (EHR) system. The FAQs clarify that once protected health information has been shared with a third-party app, as directed by the individual, the HIPAA covered entity will not be liable under HIPAA for subsequent use or disclosure of electronic protected health information, provided the app developer is not itself a business associate of a covered entity or other business associate. On February 11, 2019, HHS announced two proposed rules to support the seamless and secure access, exchange, and use of electronic health information (with Federal Register publication on March 4, 2019). The rules would increase choice and competition while fostering innovation that promotes patient electronic access to and control over their health information. Together the proposed rules address both technical and healthcare industry factors that create barriers to the interoperability of health information and limit a patient’s ability to access essential health information. Addressing those challenges will help to drive an interoperable health IT infrastructure across systems, enabling healthcare providers and patients to have access to health data when and where it is needed. This extension responds to requests from a variety of stakeholders, including healthcare provider organizations and industry representatives. The Centers for Medicare & Medicaid Services (CMS) and ONC understand that both rules include a range of issues having major effects on healthcare. The extension of the public comment deadline will maximize the opportunity for meaningful input and further the overall objective to obtain public input on the proposed provisions to move the healthcare ecosystem in the direction of interoperability. The U.S. Department of Health and Human Services (HHS) today issued for public comment draft two of the Trusted Exchange Framework and Common Agreement (TEFCA) that will support the full, network-to-network exchange of health information nationally. HHS also released a notice of funding opportunity to engage a non-profit, industry-based organization that will advance nationwide interoperability. Specifically, the documents being released for comment are: (1) a second draft of the Trusted Exchange Framework (TEF), (2) a second draft of the Minimum Required Terms and Conditions (MRTCs) for trusted exchange, and (3) a first draft of a Qualified Health Information Network (QHIN) Technical Framework. These documents will form the basis of a single Common Agreement that QHINs and their participants may adopt. This Common Agreement will create baseline technical and legal requirements for sharing electronic health information on a nationwide scale across disparate networks. Support nationwide scalability for network connectivity. ONC will maintain the TEF, while a non-profit, industry-based organization, known as the Recognized Coordinating Entity (RCE), will be awarded funds to develop, update, implement, and maintain the Common Agreement. Through this effort, ONC will define the minimum required terms and conditions needed to bridge the current differences among data sharing agreements that are preventing the flow of electronic health information. The industry-based RCE will be tasked with developing additional required terms and conditions necessary to operationalize the Common Agreement and meet the interoperability requirements of the 21st Century Cures Act. What causes two patients of the same age and with the same disease but from different regions to respond differently to a certain treatment? Even if these two patients appeared similar on paper, their lifestyles are very likely to differ — socioeconomic status, gender, race, ethnicity, family structure and education. Success in the value-based care environment cannot be achieved based solely on clinical insights. According to one study, clinical care accounts for only 20 percent of the health outcomes of patients, while health behaviors, social and economic factors, and physical environment combined add up to in?uence the remaining 80 percent of health outcomes. By Bentley Raynott, healthcare technology analyst, Tatvasoft. With the advent of new technologies, the entire healthcare industry is gearing up to adopt new initiatives. Marked with different growth patterns and trends that could vary within its different sub-domains, the industry seems to have witnessed a couple of contradicted situations with inconsistent stagnation in others. The following post sums up certain trends to watch out in the development and data-driven technologies to take into account. Over the past few years, artificial intelligence, machine learning, big data technologies have shown a prolific growth like never before. For example, IBM Watson — an AI-based system seems to have enhanced core management, accelerated drug discovery, matched patients with clinical trials, and fulfill other tasks. It is considered as one of those systems that have aided several medical institutions saving a great deal of time and money in the future. It is assumed that in 2019 and all the upcoming years, AI will become more advanced and will be carrying a wider range of tasks without human monitoring. Here are some predictions of AI trends in healthcare. Having a patient-centric approach has become a norm these days. A unique radical change in the set of expectations that a consumer has today. Do you feel that front end challenges has the potential to suffice the need for consumerism especially in regards to the diagnostic aspect of patient care? Well, several diagnostic entities are found embracing the superior methods through which they can stay ahead in the value-driven system. 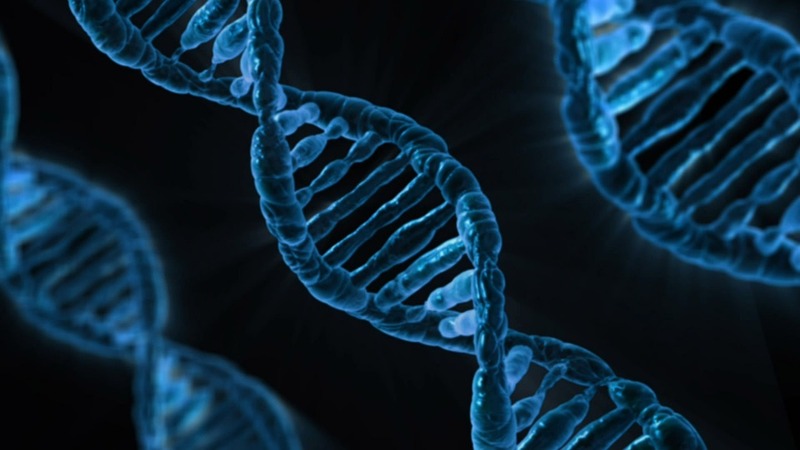 It may interest you to know that some of the major pharma players are seen investing in the consumer genetics field for the development of novel pharmaceutical products. As a result, GlaxoSmithKline entered into a four-year collaboration with 23andMe; one of the leading players in the genetic testing market; for drug discovery through human genetics. Being in the healthcare sector, clinical decision-making is expected to advance in order to provide simple, standardized, effective and efficient across the care spectrum focusing on prevention, illness, and chronic care wellness, by virtue of a comprehensive strategy such as consumer genomics and precision medicine. This technology, especially in the diagnostic platform, are making to change the face of disease detection, bio-sensing, and diagnostics in the years and many more. Moreover, it can also prove equally viable in the field of agriculture, biomanufacturing and forensics. The Centers for Medicare & Medicaid Services (CMS) released the final annual Notice of Benefit and Payment Parameters for the 2020 benefit year, also known as the 2020 Payment Notice. The rule reduces user fees for plans offered on HealthCare.gov, and encourages the use of lower-cost generic drugs, while improving market stability and consumer choice. Generally, Exchange user fees are passed directly on to the consumer in the form of higher premiums, and this reduction in the user fee allows issuers to pass along savings to consumers in 2020. The 0.5 percent reduction in the user fee rate comes as a result of CMS’ focus on reducing costs through increased operational efficiency, including successful efforts to upgrade IT functionality, a more efficient approach to outreach, and investments focused on proven methods to achieve a seamless enrollment experience and high consumer satisfaction. This follows the first ever 1.5 percent drop in average premiums for plans selected through HealthCare.gov for the 2019 coverage year. With consumers facing rising premiums and limited choice in their health coverage leading up to 2017, the Trump Administration introduced a series of actions to encourage competition and bring down the price of healthcare for people in the individual market. The final 2020 Payment Notice builds on these prior actions to further strengthen America’s health insurance markets. Building on the President’s American Patients First blueprint, the final rule also supports lower premiums by promoting the use of lower-cost generic drugs. Drug companies can offer consumers coupons to incentivize them to purchase the company’s brand name drugs even when an appropriate, less-expensive generic medication is available. This rule allows issuers to stop applying the value of these coupons towards an enrollee’s maximum-out-of-pocket costs in situations where a generic medication is available and medically appropriate, in order to encourage generic use and result in lower drug spending. To improve market stability, a key element of this final rule refines the risk adjustment program to improve the accuracy of the data used to calculate the program’s charges and payments to issuers. This program is designed to reduce incentives for insurers to avoid enrolling people with expensive health conditions. The rule finalizes several proposals regarding the validation of the accuracy of the diagnosis codes, prescription drug data and codifies a number of exemptions to lessen burden on small issuers. This rule also aims to increase the choices available to consumers for trusted enrollment pathways. Last fall CMS successfully launched Enhanced Direct Enrollment (EDE), which allows consumers to shop for and enroll in the Exchange plan of their choice through an approved partner website. In regards to enrollment, the final rule streamlines and updates regulations to accommodate future innovation and improve the consumer experience. The EDE pathway allows CMS to partner with the private sector to provide a more user-friendly and seamless enrollment experience for consumers by allowing them to apply for, and enroll in, an Exchange plan directly through an approved issuer or web-broker without the need to be redirected to HealthCare.gov. In recognition of the new pathway, the final rule increases transparency as well as the privacy and security of consumer data by allowing CMS to require web-brokers to provide lists of the agents and brokers who use their websites. The rule also enhances consumer protections and improves program integrity by allowing CMS to more easily suspend or terminate agents, brokers and web-brokers that violate applicable Marketplace requirements. As EDE continues to expand, to guarantee consumers continue to receive a high level of service, being able to more easily suspend or terminate agents, brokers and web-brokers that violate rules will better enable CMS to ensure agent/broker and web-broker compliance, respond to cases of noncompliance, and to protect sensitive Exchange data and systems. Further, the rule finalizes a technical change to the premium index for the 2020 benefit year in order to better align our premium adjustment percentage methodology with the experience of the individual markets and premiums overall. Under the new methodology, CMS would use the CMS Office of the Actuary (OACT) estimates of projected health insurance premiums for both the private individual and group market (excluding expenditures for Medigap and property and casualty insurance). This change would replace the current methodology which utilizes only employer-sponsored group market insurance (ESI) premiums, which do not reflect the situation of the individual market premiums. This technical change in the premium adjustment percentage methodology will provide a more comprehensive and accurate measure of private market premiums. Today, CMS also issued the Final 2020 Letter to Issuers in the FFE which provides guidance to issuers that want to offer Qualified Health Plans (QHPs) on the FFE, as well as the Key Dates Charts for the 2019 Calendar Year.